Brazil Nuts - What Are The Top 5 Health Benefits? Brazil nuts are one of the most popular nuts that are eaten all over the world and are produced by a South American tree. This tree is typically found in rain forests, therefore, are a staple part of the diet for Latin American people. Not only can it be eaten on its own but can also be included in several dishes both sweet and savory. It is delicious as well as having several different health benefits. High in Calories- The Brazil nut is incredibly high in calories and within a 100g of nuts, there will be on average 656 calories. The high calories are produced due to the high fat content in the nut; however, this fat is beneficial for you. Diets that are rich in monounsaturated fatty acid have been proved to help with heart disease. Although it is often believed that high calories and fat content are unhealthy for you, in this particular nut they have proved to be extremely healthy. Vast Array of Vitamins and Nutrients- It also contains high levels of potassium, zinc, vitamin E and fiber. All of these are incredibly good for you and will help to boost your immune system as well as providing high levels of anti oxidants. They contain high levels of all of these vitamins, which have been proved to aid circulation and healing. 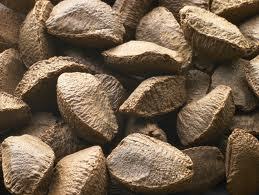 The zinc in the Brazil nut will aid digestion and the calcium will help to produce strong bones. Fat Burning Benefits- The nuts also contain Selenium which has shown to help with weight loss and reduce the risk of cancer and heart disease. They contain the highest natural source of this mineral making them incredibly beneficial. Selenium is also great at neutralizing harmful effects from the free radicals within your body. This mineral will stop any negative effects from occurring and help you to remain fit and healthy. Slow Release Energy- The magnesium which is found in Brazilian nuts, helps to release the energy in your body slowly, which ensures that you remain healthy. The magnesium aids the release of energy from other foods, which can help, to assist muscle and nerve function. By ensuring that the energy is released slowly throughout the day, you will feel fuller for longer and not snack. It is an excellent source of protein and an excellent alternative to other foods throughout the day. Free from Gluten- They are excellent and can help with several different health benefits; however, they are also gluten free making them an alternative for people who have gluten allergies. It is often one of the most popular ingredients in gluten free recipes, and can ensure that you still receive high levels of vitamins and nutrients. 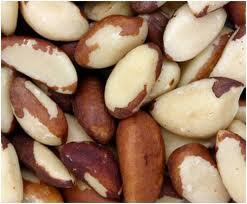 No matter why you have decided to eat the Brazil nuts you will find them delicious and remarkably versatile. They can be used in a huge number of different dishes and will guarantee that you are receiving high levels of essential vitamins. Whether you eat them in their natural form, or use the oil that comes from nut they can enhance and flavor every meal.